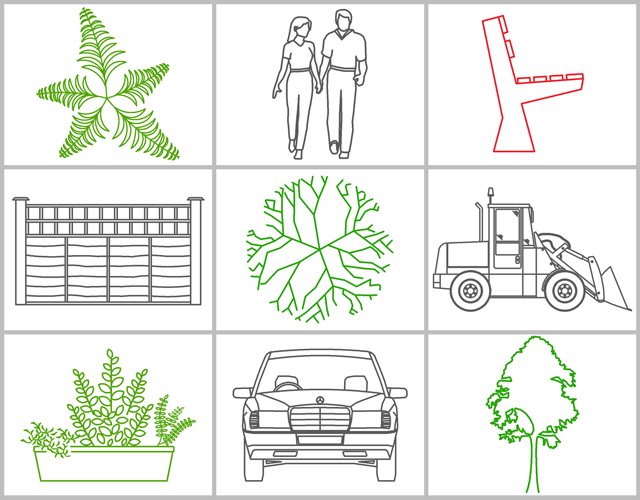 Explore all of your creative ideas with this expert range of 2D symbol libraries for landscape design, land planning and irrigation. 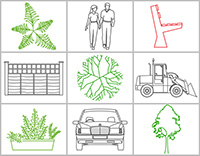 GlobalCAD Symbols Pack 3 supports Bricscad Pro and the entire family of AutoCAD products including AutoCAD, AutoCAD Architecture, AutoCAD Civil 3D, AutoCAD Land Desktop and AutoCAD Map 3D. The software can be installed on a standalone computer or network drive (you can connect the entire design team with total network support options). Further details are available during installation. Please Note: GlobalCAD Symbols Pack 3 is an add-on for AutoCAD/Bricscad Pro and requires one or more of the above CAD platforms to be pre-installed on your computer.